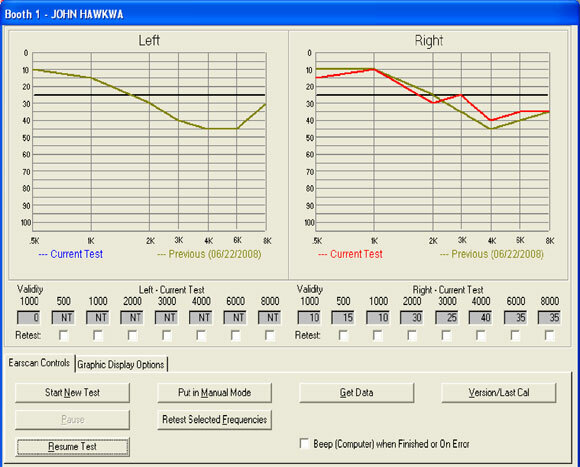 In the sample above, a test is in progress with the right ear being tested. The red line represents the current test and the green line represents the previous test. Baseline or first tests can also be displayed. The small "x" above and below the graphed thresholds represent the presentations that have been made. If the RA300 is put in the Manual Mode, a manual test can be conducted or selected frequencies can be tested from the audiometer. 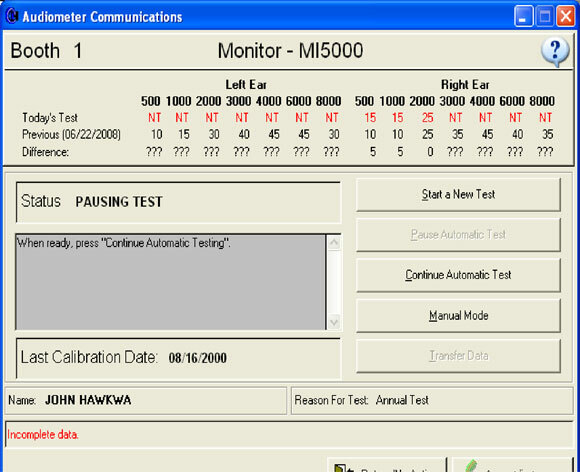 The interface is similar to the RA300, except that a manual test is conducted directly from within HearTrak. The progress of the test is shown both graphically and with numbers. Data will be displayed as the test progresses with possible messages appearing during the test to indicate problems. 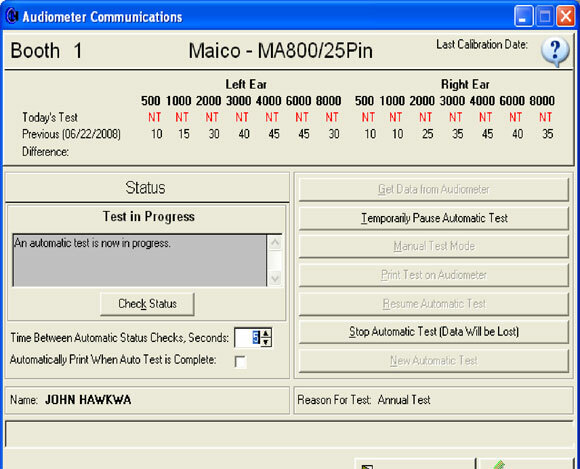 Test progress with the Maico audiometers cannot be displayed. 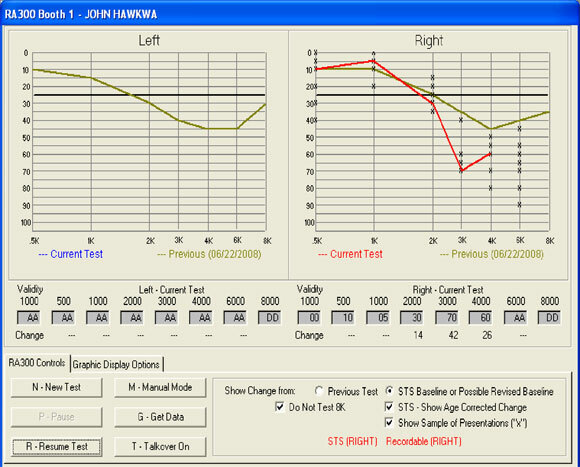 When the test is finished the data is automatically collected from the audiometer and can be accepted by the user.